You’ve made that all important decision to move from a nice, happy calorie surplus into the dreaded realm of a calorie deficit. You want to lose fat and you want to do it quickly. Having worked hard over the last few weeks to add slabs of muscle, you now just want to shred. The problem is though that last time you went on a cut you lost a ton of muscle and strength and didn’t get the result you were after. So how do you keep strong during dieting? Can you retain muscle or is it a choice between shredded abs or losing your your gains? If you cast your mind back to old school bodybuilding, their approach was very much a battle between bulking phases and cutting. And during these cuts, the guys would be dropping the weights and upping the reps to ‘carve out striations’ or add ‘shape’ to their muscles. It was a strange really, and not efficient at all. Whilst many of them ultimately ended up looking great, they were actually pretty weak and many lost considerable amounts of muscle too. Because they stopped lifting heavy. This might sound like the golden chalice of training. But building muscle, keeping strong and losing fat is totally doable. You just need to know how. Key Point: The key to a great physique is to build strength while getting leaner. The main reason why many people entering a weight cut feel weaker is because they don’t optimize their training. No matter how hard you try, you’ll not have as much energy as you did during your bulk. You’re running with little in the tank. And whilst it might be difficult to train as hard as you were before your diet, you can retain strength on key lifts with clever approaches to training. Choose three big lifts and use these as your marker of strength. Bench press, deadlift and squat are all great indicators of how strong you are. And whilst you might not put these in the same session because of how tired you are, you can use them throughout the week to really keep your strength up. There are no bad points to being strong. And one of the main benefits is in its ability to optimize body composition. One of the major fat burner hormones in your body is testosterone and a number of studies have found that the higher the T levels in subjects, the leaner they are. Testosterone may even have a direct effect on fat cells via ‘inhibited adipogenic differentiation‘ . Basically they stop fat cells from multiplying. A study published in the European Journal of Applied Physiology , reported that when 20 trained males underwent a 4-week strength training program, their testosterone increased by 40%. Get this though – their cortisol levels went down by 24% too. If you didn’t already know, cortisol is a hormone notorious for eating away at your muscle mass and elevating your belly fat levels. So if it decreases, that’s a great thing. 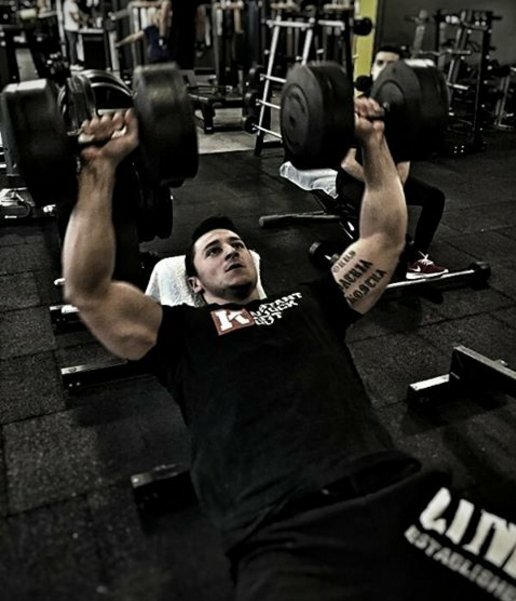 Training the big lifts two days in a row will just give you inconsistent results. Instead, train every other day during a cut. That way you’ll optimize recovery and avoid burnout. Training more regularly will burn more calories throughout the week but will also help to challenge your muscles too, providing them with a stimulus for growth. It’s not just about how you train. If you really want to accelerate your way to a great physique you’ll need to plan your diet too. If you want to shred fat then the number one rule is to reel the calories in. The physiology of fat loss is pretty simple – if you burn more calories than you take in, you tap into stored fat to make up the difference. It’s a process called calorie deficit or negative energy balance. The problem is though that if you hit your deficit too aggressively you can start to bite into not only stored fat but muscle too. And this means you’ll lose mass and strength and you’ll end up weak. By follow current recommendations and hitting a deficit of around 20%, you’ll maximize the chances of retaining as much muscle and strength as possible. The key to growth and recover (even in a cut) is to maintain a protein intake of around 1 gram per pound of body weight. If you don’t hit your protein numbers. you’re giving your body an excuse to begin biting into stored muscle tissue for energy. Research from the International Journal of Sport Nutrition and Exercise Metabolism  shows that even in a calorie restricted state, a group of resistance trained athletes were able to drop up to 6.6% body fat whilst gaining muscle. Many people fear that too many carbs might make them look puffy and fat. That they might retain too much water and glycogen in their muscles. A big mistake that you could make during your cut though is to drop your carbs too far. When you are in a cut you need to eat carbs for energy – without them you’ll be too fatigued to train. Again, this could mean you’ll lose muscle and strength. When you’re in a deficit you can consume a decent amount of carbs and not suffer any side effects. Just bear in mind that you’re not on a high carb diet, you’re just not avoiding them. Focus on a decent 150-200 g of carbs per day, with a slightly lower amount on non-exercise days. Losing weight and maintaining muscle mass can be hard work. But by following these tips you’ll find it much easier to achieve. You’ll feel more athletic, you’ll look better and you’ll maintain the strength you’ve worked hard to earn. Lifting heavy and frequently and monitoring your diet are both key to establishing the body you’re after.